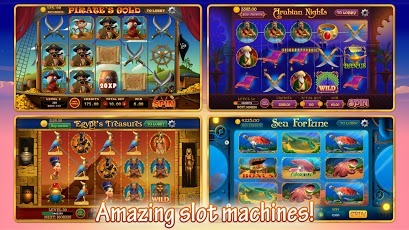 Jackpot Cruise combines various unique slot machine themes on one luxurious cruise ship. 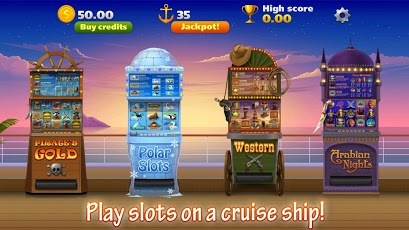 Step on the sun deck today and take a seat at your favorite slot game! 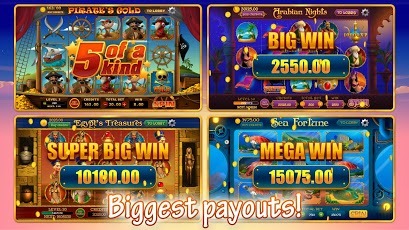 With every new experience level you advance faster towards hitting the big Jackpot - with more winning lines (+50), higher maximum betting sizes and even more exciting slot machines to choose between. 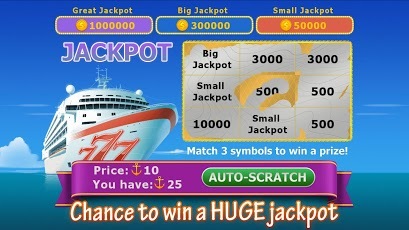 Jackpot Cruise uses industry standard math and all the bonus and wild symbols you come to expect from a modern slot machine. 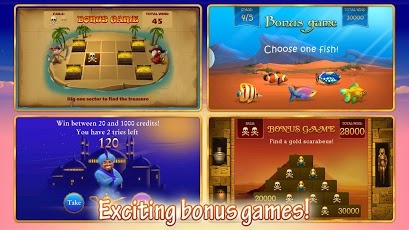 Engrossing bonus game modes, lovely animations and a relaxing soundtrack round out a game that’s free to enjoy for slot machine enthusiasts as well as for newcomers! 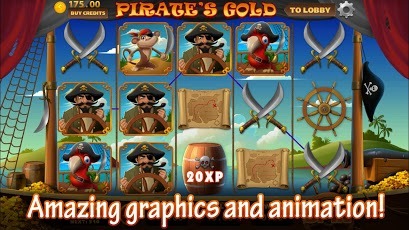 Indulge yourself with this wonderful FREE vacation!